The tallest skyscraper, Brazil’s biggest financial center, third largest city in the world – it’s hard not to use superlatives when describing Sao Paolo and its heady mix of colorful art, culinary excellence and high-octane night-life is enough to ignite wanderlust in any globetrotter. Perhaps its fast pace is why Sao Paolo has produced some of the world’s greatest racing car champions, but you don’t have to be a racing driver to experience a rush in this city. Welcome to the city that never stops. 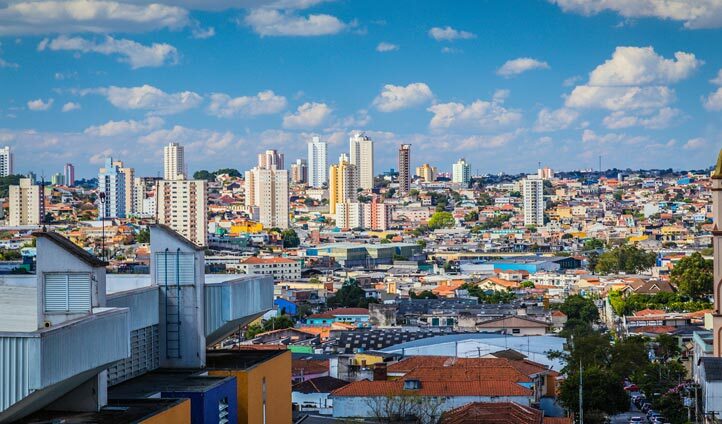 To call Sao Paolo a vibrant city simply wouldn’t do it justice. In size, population and cultural experiences it beats many other major capitals by a long shot and the energy and passion here is infectious. It’s a city that moves to its own beat and is used to being on the world’s center stage, constantly playing host to carnivals, grand prix, festivals and parades. But it’s not all about partying here, Sao Paolo also has its fair share of designer boutiques, high-end galleries and fine restaurants to explore. You’ll find it hard to resist the heart and soul of this vibrant city. An urban jungle overflowing with creativity, Sao Paolo invites you to lose yourself in its pulsating subwaypolis. It can be difficult to know where to begin, but we’ve picked out our favorite sights and sounds to get you off the starting line. What the city lacks in beaches it seems to make up for with museums and galleries. For a morning culture hit, art lovers can find inspiration in the Modernist architecture and avant-garde galleries of the edgy Higienópolis area. Next, take a trip to the glossy Jardins Rua Oscar Feire or the postage-stamp boutiques of chic Vila Madalena for some stylish storeping that would make even the biggest fashion cities jealous. The one-off boutiques here feature designers you often won’t find anywhere else so it’s worth stocking up for some serious style cred. After satisfying your cultural appetite, you’ll want to sample the incredible cuisine. Sao Paolo features some of the world’s finest restaurants and D.O.M. is an essential stop for any gastronome for Alex Atala’s gourmet take on Brazilian fare. Come nightfall, the bars and clubs beckon and the city metamorphoses into late night parade of cocktails, samba and exclusive dancefloors. Grab yourself a caipirinha and take your pick of the parties which go on all night (naturally). For a city that is always on the move, you’ll require something light to keep your Sao Paolo basics in check and Tumi’s slimline cross-body bag makes urban wandering easy as pie – plenty of room for your phone, and thus those all-important cocktail Instagrams. In terms of clothes, really anything goes but we recommend making it colorful to match the carnival vibe.